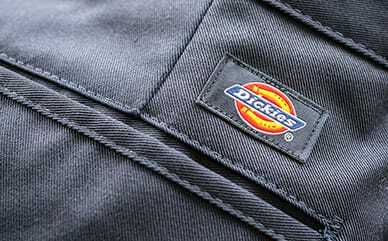 Forget indoor activities and take it to the streets in Dickies Girl Youth Logo Strap Overalls. Made with the purpose of being a fashion overall, this look will check all your must-have features off the list. The logo-adorned straps are made with elastic to give you the perfect fit. A front bib pocket lets you store small items, while the side-button entry makes for easy on/off. The cotton fabric is mixed with some spandex to create a comfortable stretch so you can move in style.